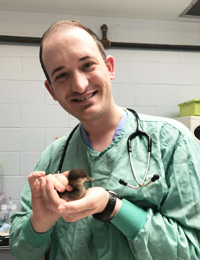 Whether you are a new bird owner, moving to a new neighborhood or looking for a new avian veterinarian, you may find AAV's Find-a-Vet tool useful to locate an avian veterinarian you are both comfortable with and confident in. Many species of pet birds have a long lifespan, and most people who obtain a companion or aviary bird expect a long-term, rewarding relationship with their bird. 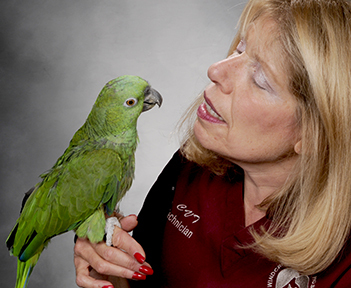 An avian veterinarian, monitoring your bird’s health, can play a vital role in this goal. 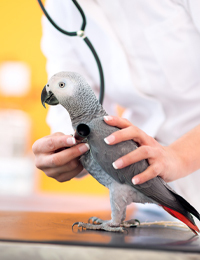 The Association of Avian Veterinarians recommends regular checkups for companion birds to ensure they live a full, healthy life. 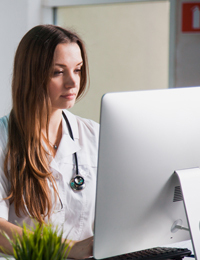 AAV has partnered with the World Veterinary Association and the World Continuing Education Alliance to bring our members access to great online education resources. 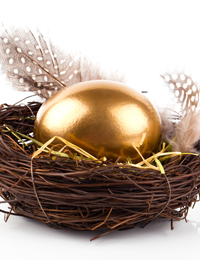 The Golden Egg features collections of information on key topics of interest to avian veterinarians including feather destructive behavior, backyard poultry medicine, and more. 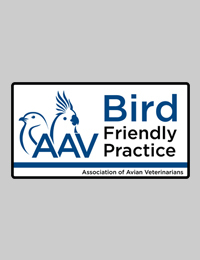 The AAV Bird-friendly Practice Toolbox contains a collection of resources addressing essential needs of a bird-friendly avian practice. 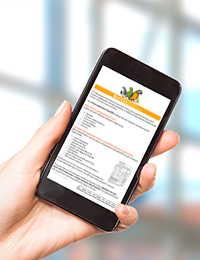 AAV members receive online access to the current year's AAV Conference proceedings and all past conference proceedings (present to 1982), plus proceedings of the AAV Australasian Committee (AAVAC) and European Association of Avian Veterinarians (EAAV). 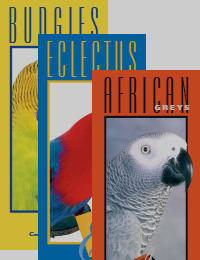 The AAV Publications Library features a series of avian species pet care brochures and our complete client education series available in PDF format. AAV has partnered with the Veterinary Career Network (VCN) to provide members with access to thousands of job opportunities in the veterinary industry. The AAV Student Center offers AAV student members access to scholarship opportunities, manuscript competitions, academic opportunities (internships, externships and residencies), and more! 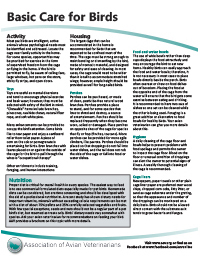 AAV offers several printable handouts to bird owners about basic pet bird care, the avian health exam, signs of illness in birds and when to take your bird to a veterinarian. 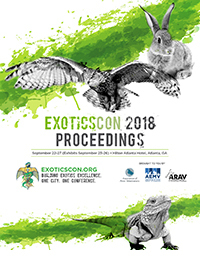 AAV offers a paid scholarship to assist a veterinarian with financial need from a country outside the United States of America and Canada to attend the annual conference of the Association of Avian Veterinarians. 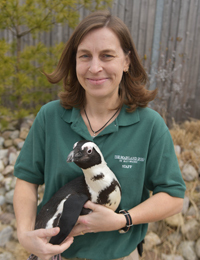 Since 1982, the AAV has provided over $575,000 in avian research funding. By funding clinically relevant research studies, the AAV Health Grants have improved the health and welfare of our avian patients. 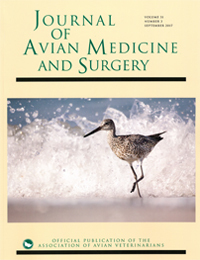 The Association of Avian Veterinarians offers a subscription program featuring monthly articles for publication in bird club newsletters. These articles are written by AAV member veterinarians and technicians. 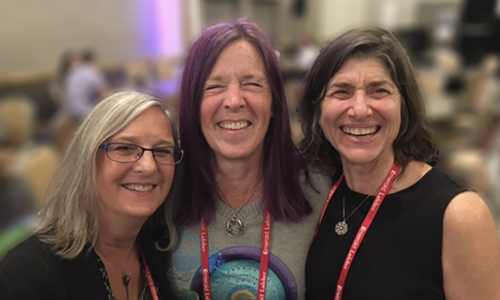 AAV members receive many benefits including subscription to the internationally recognized Journal of Avian Medicine and Surgery, online continuing education courses through our E-Learning Portal, access to the AAV conference proceedings library, downloadable client education materials, and more.